Candidates seeking flight training are separated into 1 of 4 TSA categories. If you have questions on which category to apply for, please contact us for assistance. 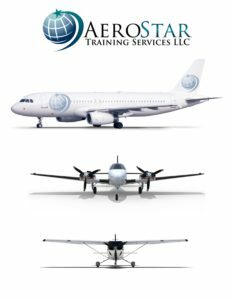 For Candidates pursuing training in aircraft with a maximum certified takeoff weight (MTOW) of over 12,500 lbs. who do not qualify for Category 2. Category 1 is generally for pilots who do not have a type rating for ANY aircraft with MTOW over 12,500 lbs., and have never filled out a training request with the AFSP. NOTE: After the AFSP emails a Fingerprint Receipt to the Candidate, there is a wait period that may take up to 30 days to receive authorization to train. 1. Candidate holds an airman’s certificate from a foreign country (or the U.S.) recognized by the FAA or a U.S. military agency. 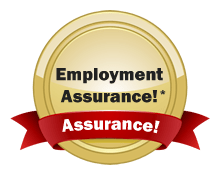 • This sub category is for Candidates who have either an FAA or foreign airman’s certificate that is recognized by the FAA with a type rating for an aircraft with MTOW over 12,500 lbs. 2. Candidate is employed by a foreign air carrier with a security program approved under the CFR. • This sub category is for Candidates who work for a foreign airline that is considered a Security Approved Foreign Air Carrier by the TSA. 3. Candidate has unescorted access to a secure airport area under the CFR. 4. Candidate is a flight crew member with a criminal history check under the CFR. • This sub category is for Candidates who have submitted fingerprints for any TSA program. This includes Candidates who have submitted fingerprints to AFSP in the past. NOTE: After the AFSP emails a Fingerprint Receipt to the Candidate, there is a wait period that may take up to 5 business days to receive authorization to train. 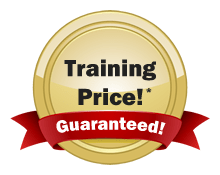 Each of these training events requires a separate training request. Clarification regarding Category 3 exemptions is covered in the next Frequently Asked Question. Initial airman’s certificate, including a private, recreational, or sport pilot certificate. — If a private and/or commercial license is the candidate’s initial FAA license, it is considered an initial airman’s certificate and is not exempt. Candidates who seek recurrent training in the operation of aircraft with a maximum certificated takeoff weight (MTOW) greater than 12,500 pounds, and are current and qualified on the aircraft for which they are requesting training. These training requests are submitted by the Candidates who must advise the flight training providers of the application — Candidates need to “Select Providers for Recurrent Training” from the AFSP Candidate account.